Join us on Tuesday, July 23, 2019 for the 84th running of the Prince of Wales Stakes, the 2nd jewel in the Canadian Triple Crown and Fort Erie Race Track's signature event! First race post time is 4:20, followed by a free concert after the races. Admission & parking are free. Fort Erie Race Track is a family friendly venue. 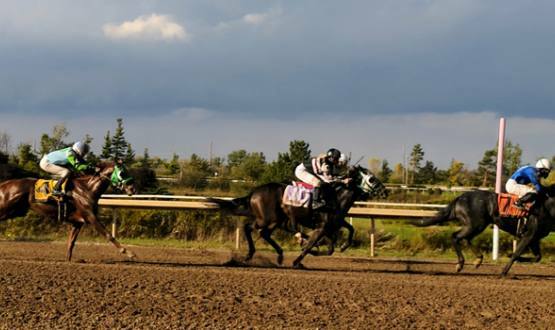 Fort Erie Race Track is home to the Second Jewel in the Canadian Triple Crown. Every Summer crowds converge on the Border Oval to take in the excitement of live thoroughbred racing, but the crowds really swell when the majesty of Canada's premier horses take to the stage and compete for one of racing's most sought after prizes. Since 1959, The Prince of Wales Stakes has been Fort Erie's premier race. The second jewel in Canada's Triple Crown of Racing. The Prince of Wales is a glowing centrepiece to the Queen's Plate and The Breeders' Stakes, both of which are contested at Woodbine. The Prince of Wales Stakes features Canada's top three year olds at a distance of one mile and three-sixteenths on the main track. Many past Canadian champions have performed at Fort Erie in the classic event. Mr. E.P. Taylor's New Providence won the first running at Fort Erie in 1959. That year, The Canadian Triple Crown was introduced and New Providence won the inaugural series. Four years later, Canebora was hailed a Triple Crown champion. 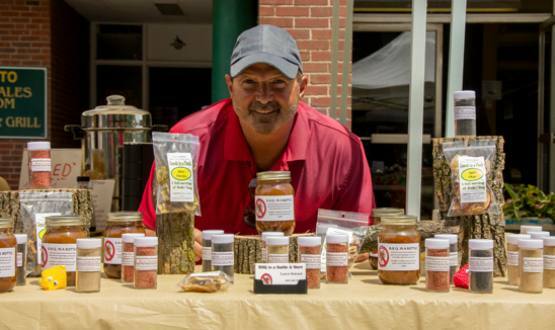 Canebora was also a product of Mr. Taylor's Windfields Farm. Twenty-six years passed before another Triple Crown champion emerged. Kinghaven Farms' brilliant grey, With Approval, survived two photo-finishes to win The Plate, then The Prince of Wales, before he cake-walked to victory in The Breeders' Stakes. Triple Crown winners came in quick succession after With Approval ended the drought. In 1990, another grey from Kinghaven Farms, Izvestia was named the top three-year-old in the country winning the three-race series. The most popular winner of the Prince of Wales waltzed to victory in 1991, super filly Dance Smartly, 'kicked sand at the boys' as she became the first and only lady to win the Canadian Triple Crown. In 1993, the immensely talented Peteski peaked in all three races. There was not another Triple Crown winner until Wando completed the trick in 2003. In 1959, the Prince of Wales Stakes became the marquis event on the Fort Erie racing calendar. That was also the year the race became the second jewel in Canada's Triple Crown of Racing. The first edition of the Prince of Wales Stakes was held at Thorncliffe Park in Toronto on June 3, 1929. During the 1930's, the race was restricted to 3 year olds foaled in Canada, utilizing the same format as both the Queen's Plate and the Breeders' Stakes, the other two legs of the Canadian Triple Crown. Over the years the purse structure has soared to over $500,000 from its initial running in 1929, which was worth $7,500. Until 1953, the race was known as the Prince of Wales Plate, but the size of the purse was dramatically less. After the first two runnings, the purse for the Prince of Wales was dropped to just $2,500 added as the country was in the midst of a depression.